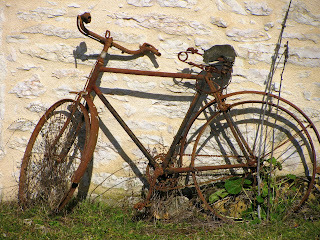 Leaned up against the stone wall of an old house on the causse, this rusted relic seemed to be basking in the warm sun. And well she deserves some moments of warmth! Don't you wonder where she's been? who she belonged to, and why they left her to rust away? 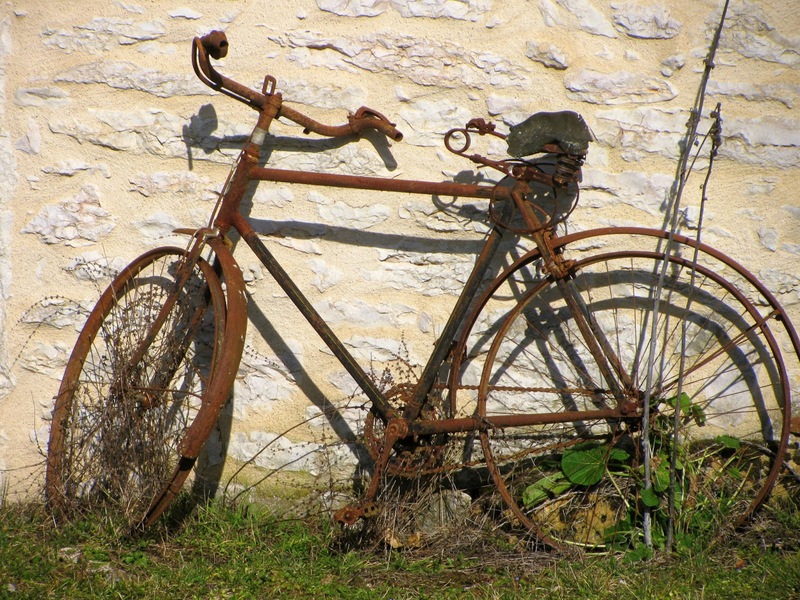 How many feet have pedaled her, and how many kilometers has she traveled? If only those wheels could speak...preferably in English!